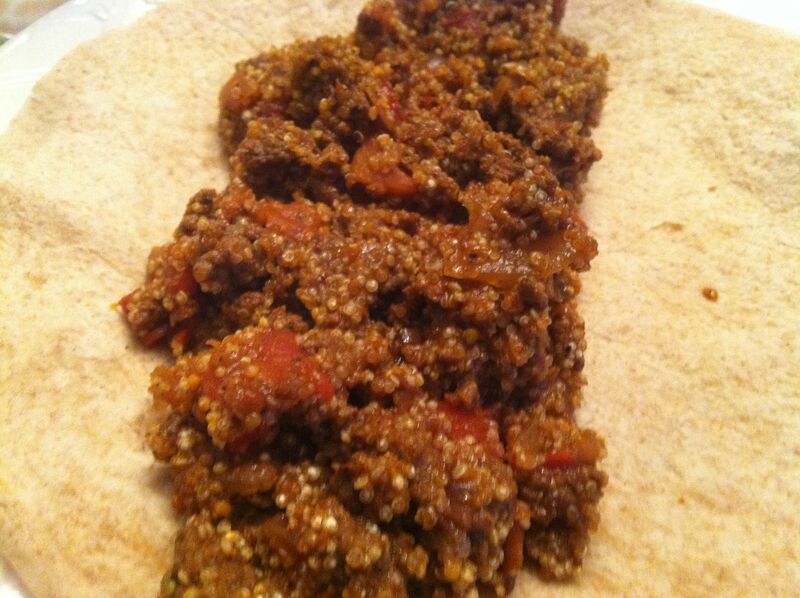 Quinoa….it is everywhere. I am willing to bet that you hadn’t heard of it until the last few years. While it has been around forever, (the Incas thought it was food from the gods) it has really not been popular until recently. Now, of course, you cannot turn around without bumping into it on virtually every food blog (now this one included). In fact it is almost like an avalanche of quinoa recipes all at once. 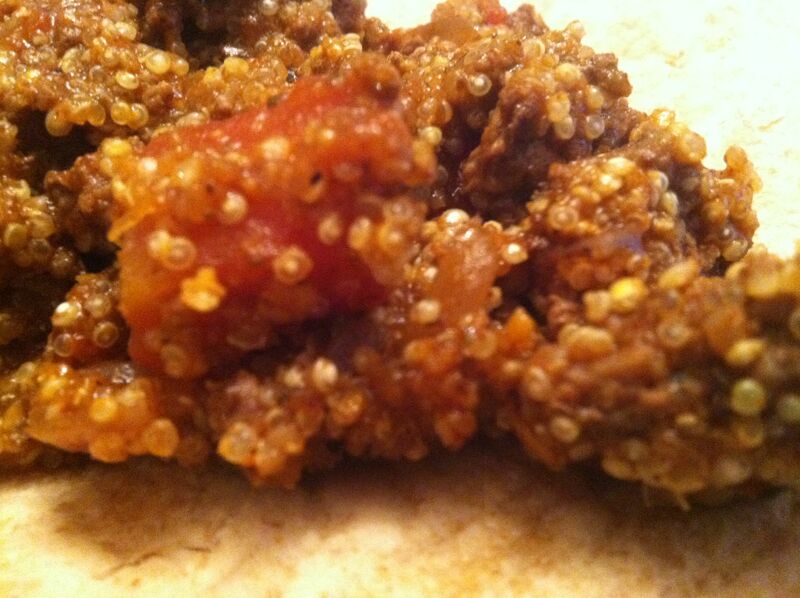 Quinoa, while looking and for the most part acting like a grain, is not a grain at all. In fact it is closer to a beet (paging Dwight Schrute of Schrute farms) than it is rice. The versatility of the product is great, from replacing rice or couscous to forming patties and subbing for burgers for vegetarians. I hadn’t cooked with it before and after seeing thousands of posts on food blogs about it, had to buy some. It was only then that I found this recipe. 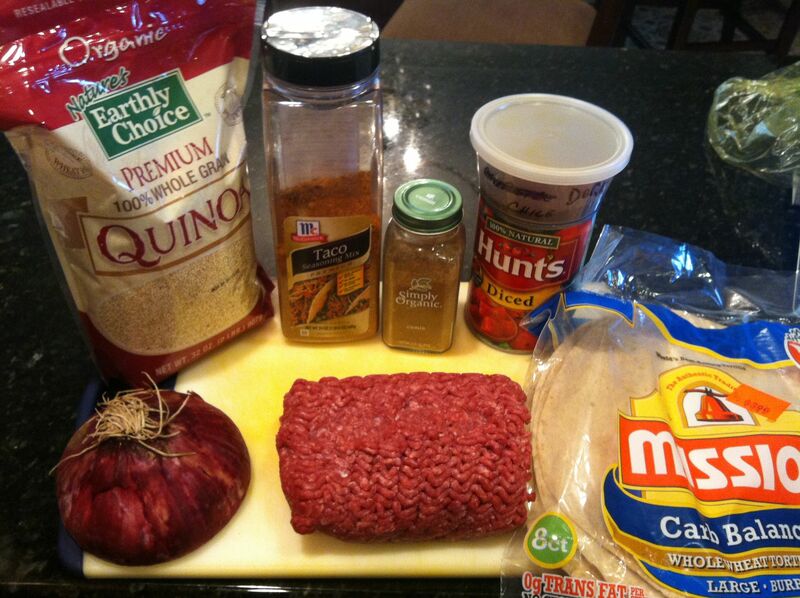 The quinoa brings a heartiness to the dish when paired with the ground beef and Mexican spices. Once I bought the quinoa, I had everything on hand. Brown up the ground beef with the onions. Throw in the rest of the ingredients and simmer. A super simple recipe that works well with tortillas and some shredded cheese! 1. 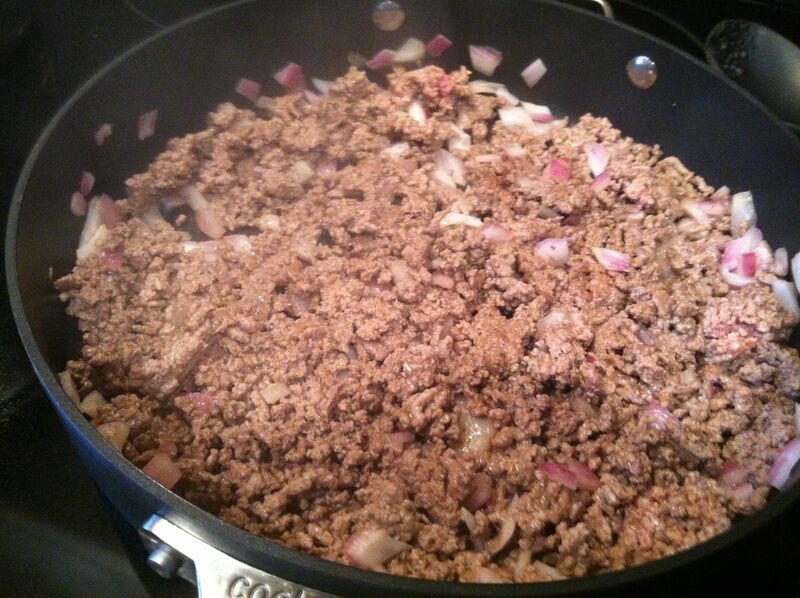 Brown ground beef and onion and drain excess fat. 3. 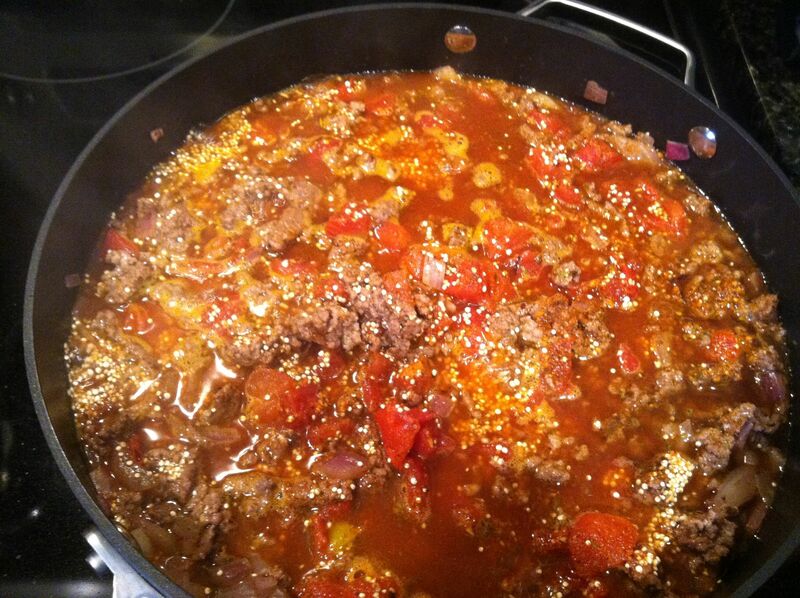 Add tomatoes, chilies, quinoa, water and spices to ground beef and simmer, uncovered, for about 25 minutes. 4. If water evaporates, cover pan for remainder of cooking time.